Introducing changes to the normal driving experience presents a variety of safety risks, and work zones are no exception to this rule. While work zone fatalities have been trending down since reaching a high of 1,186 in 2002, a recent plateau has motivated the need for efforts to further address this issue. Safety is a major focus area for the Federal Highway Administration (FHWA), thus the creation of the Work Zone Safety Grant Program in 2006, which initially funded four cooperative agreements to public and private agencies engaged in improving work zone safety. Today, the Work Zone Safety Grants Program has reached its fourth iteration with grants during the current cycle totaling $8.7 million. Among other recipients, a grant totaling $1.5 million and covering five years of research was awarded to Iowa State University’s Institute for Transportation (InTrans). ISU-InTrans will be partnering with other Midwest institutions with work zone safety expertise, including the University of Missouri-Columbia, Michigan State University, and the University of Kansas. 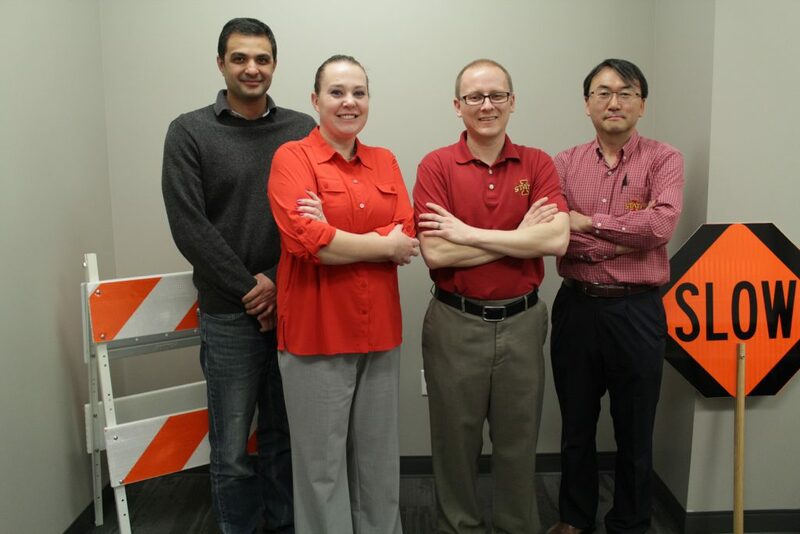 Peter Savolainen, associate professor in ISU’s Department of Civil, Construction, and Environmental Engineering and InTrans safety engineer, will led this effort as the project manager. With nearly 15 years of experience working in the area of traffic safety, he is eager to continue efforts aimed at improving work zones, as he was involved in the first three iterations of the Work Zone Safety Grant Program while a faculty member at Wayne State University in Detroit, Michigan. “Work zones continue to be a big issue nationally, as well as here in Iowa. Whenever you change the normal driving environment, safety becomes a major concern,” said Savolainen. The goal, according to Savolainen, is to develop a series of guidelines, procedures, and decision support tools that would help transportation agencies to more safely and efficiently implement construction, maintenance, and utility operations on or near the roadway. But, the difficulty lies in finding those work zone best practices that can be relevant to all states. Although the grant primarily aims to tackle the issue of safety, it really is about making work zones better all-round by making better, informed decisions. Reducing traffic delays (efficiency) and the number of work zone-related crashes (safety) are the key in doing just that.